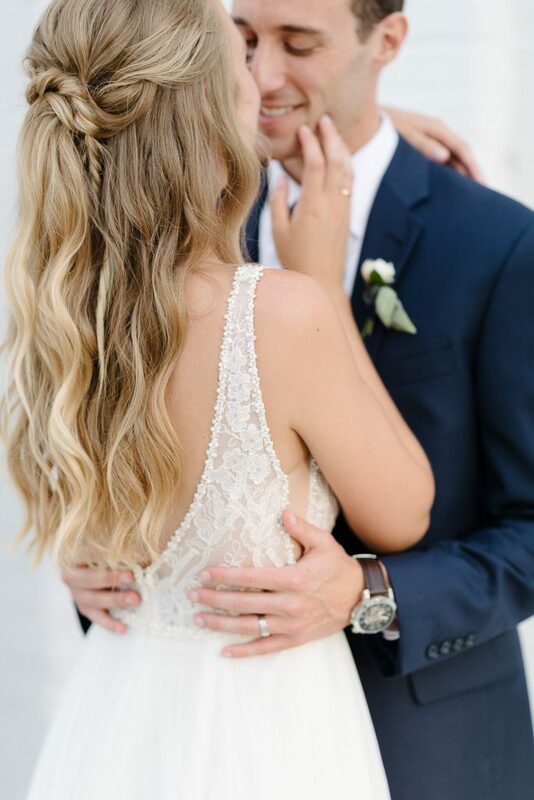 Jen + Connor’s wedding was a day filled with elegance, romance, and beautiful touches of detail that embodied who they are as a couple. 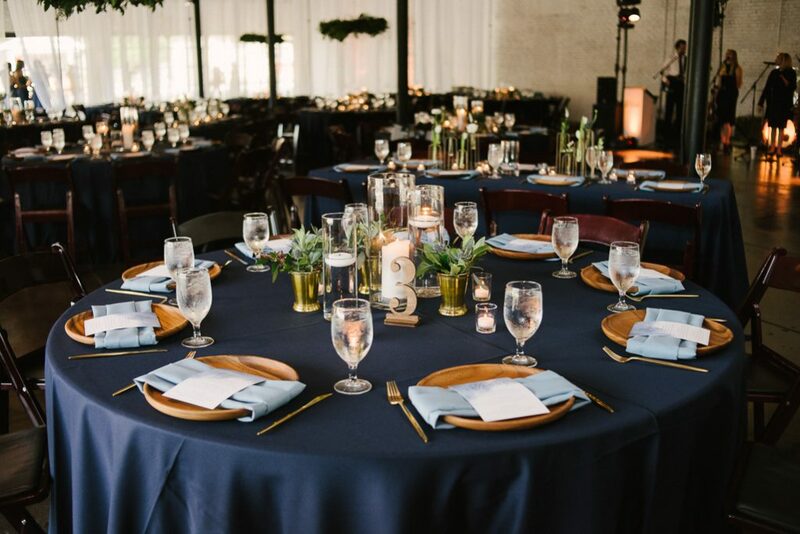 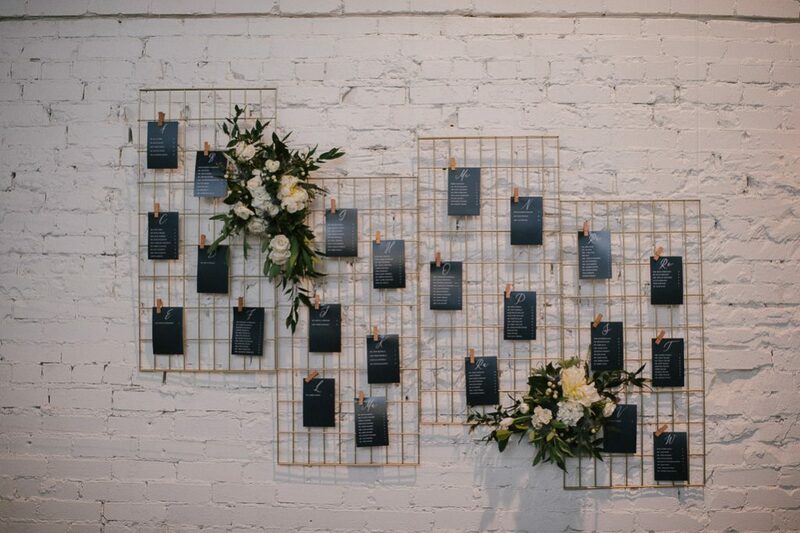 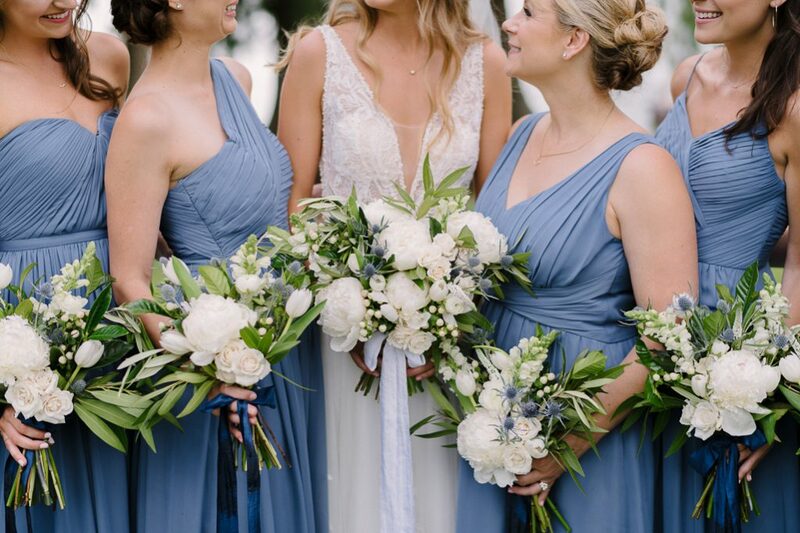 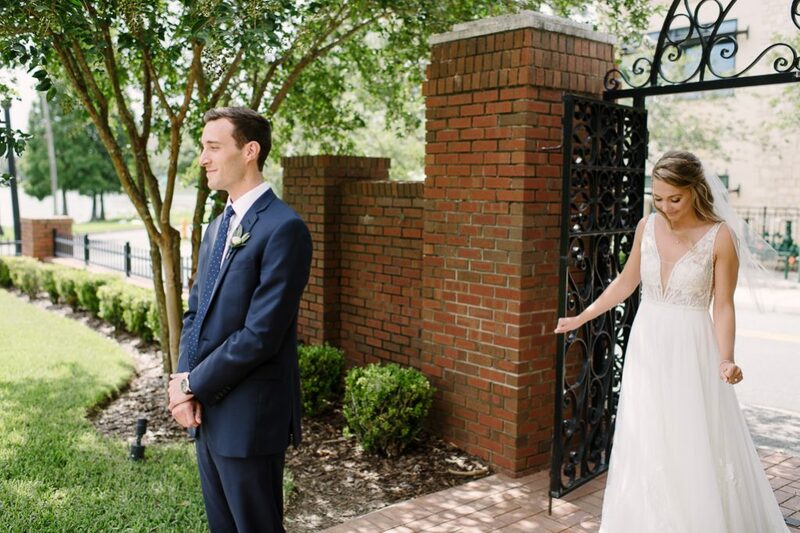 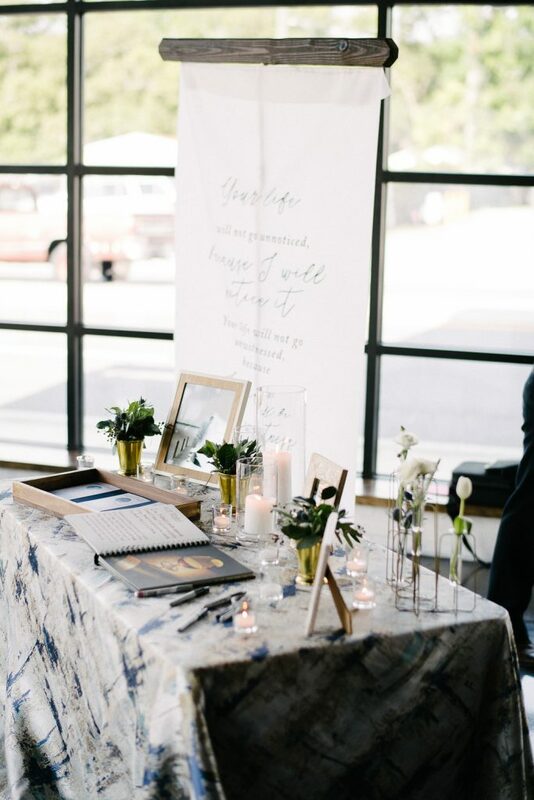 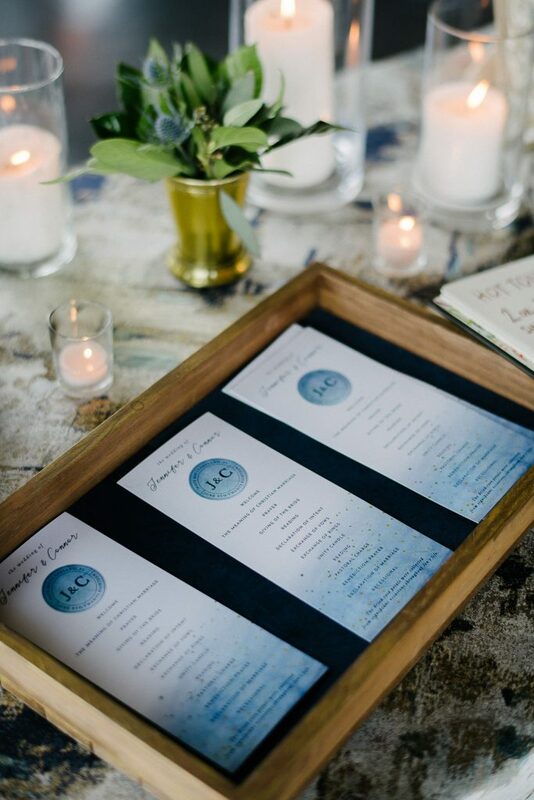 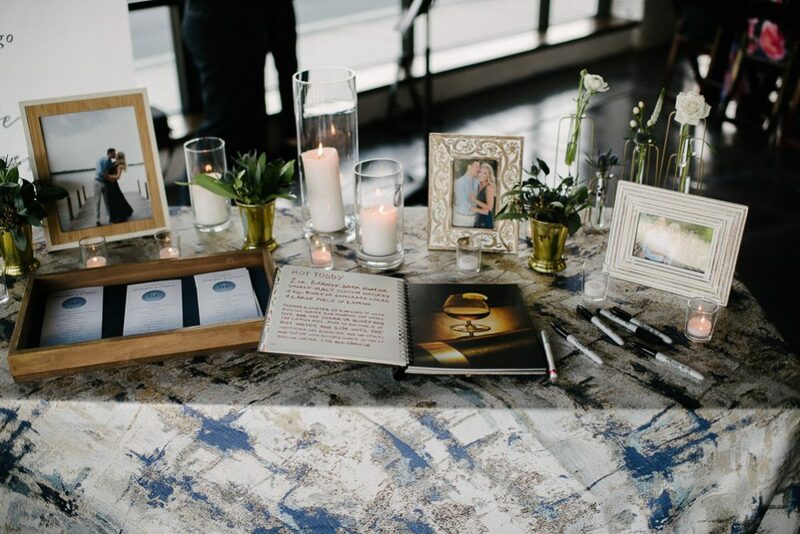 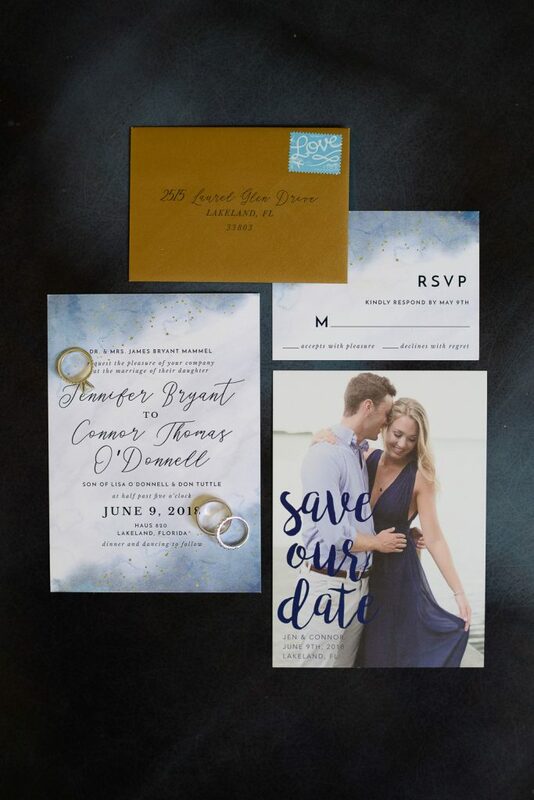 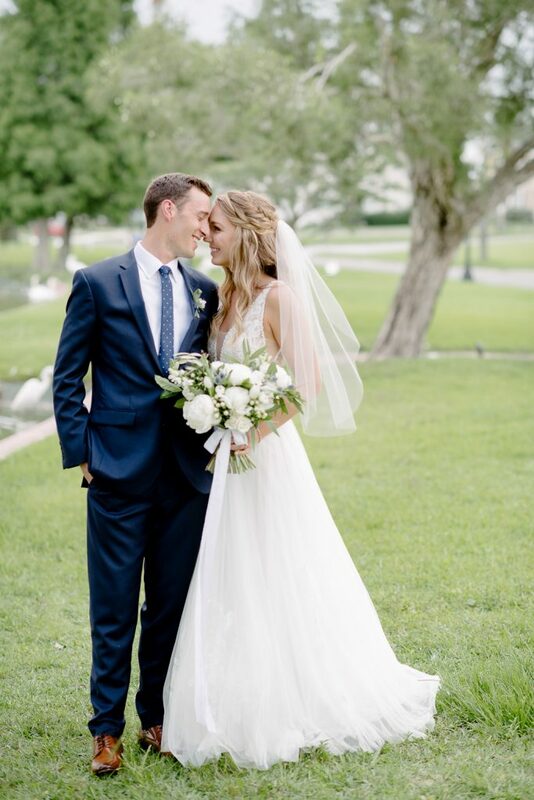 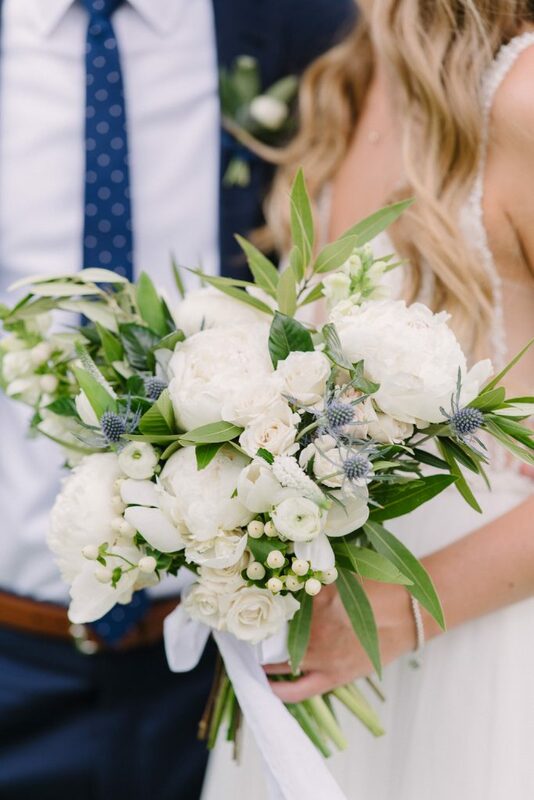 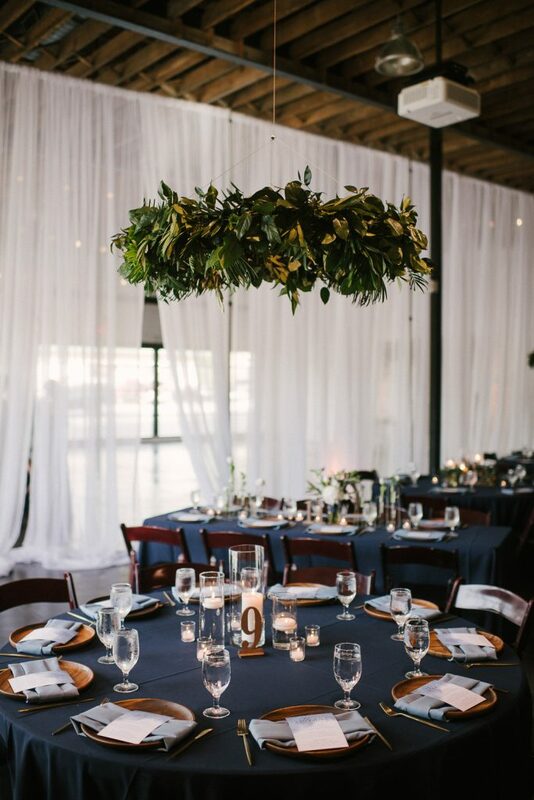 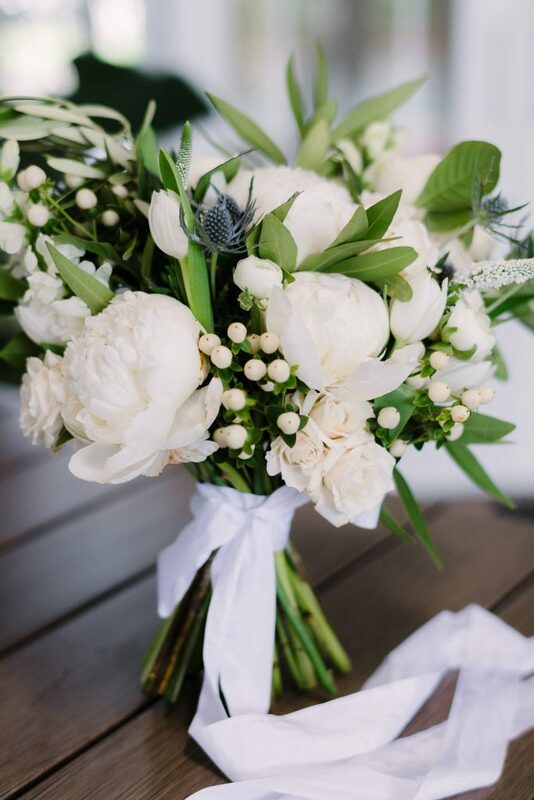 The simple color scheme of navy, white, and lots of greenery was stunning and so natural. 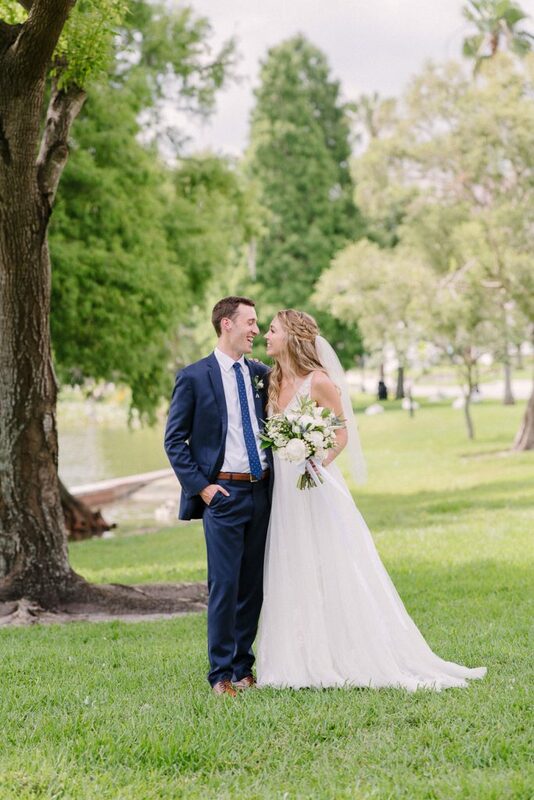 They wanted to find a space that could look and feel like it was outside, but with the comfort of air conditioning in the Florida heat. 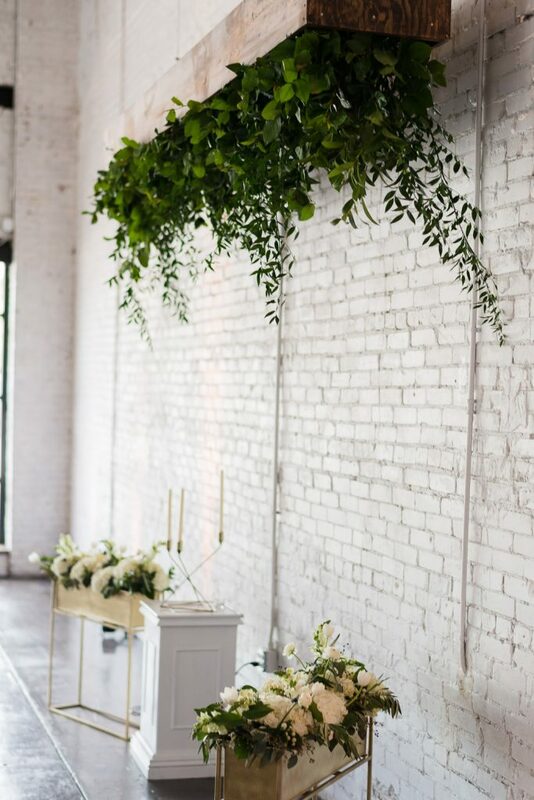 Tons of greenery was incorporated into both the wedding and reception in order to give it that outdoor feel that they were looking for. 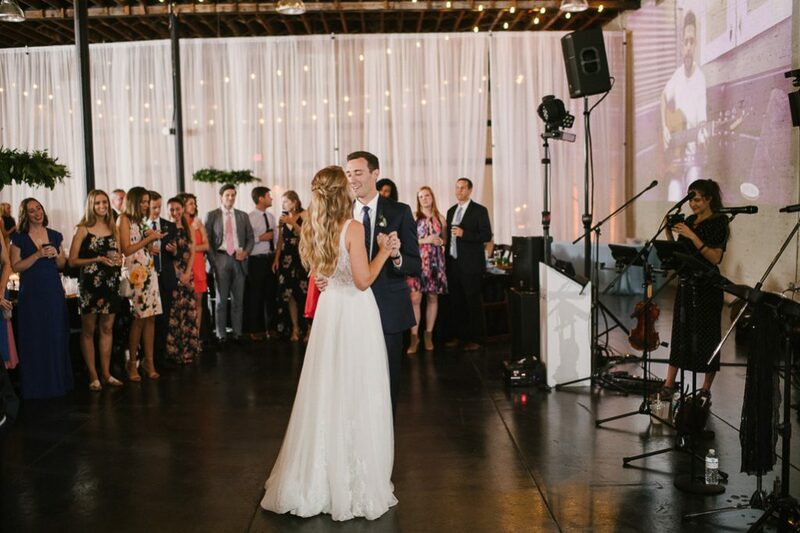 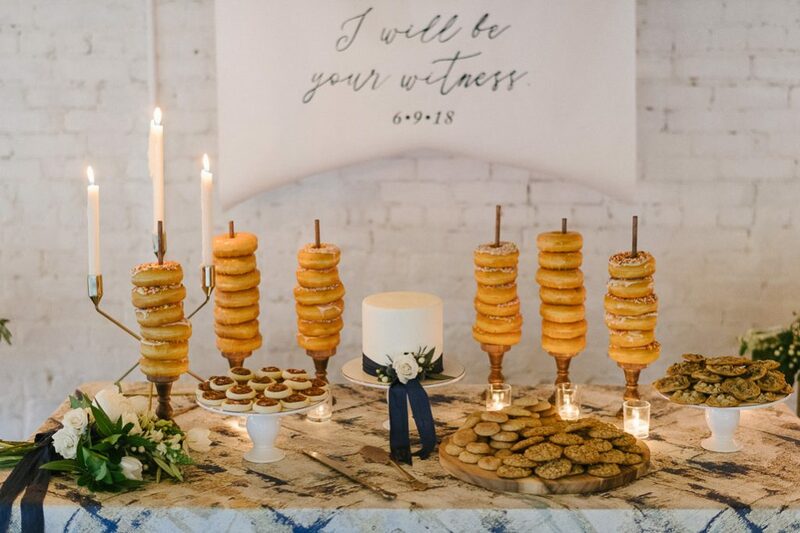 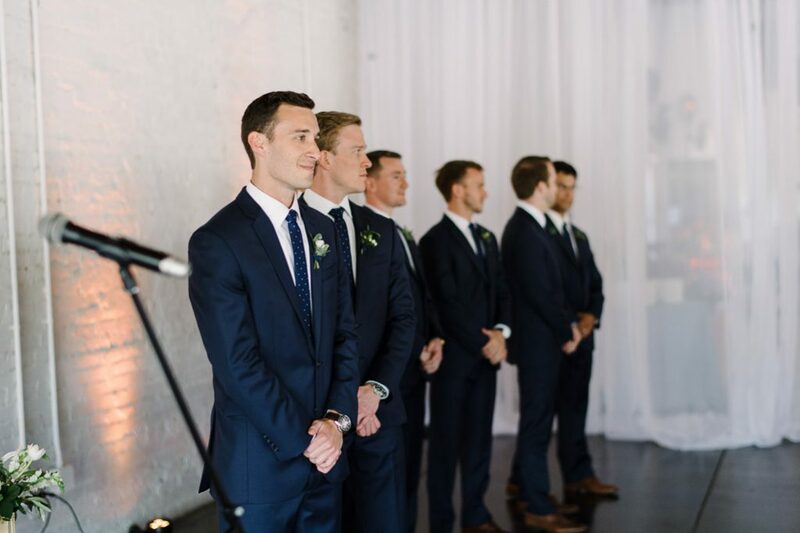 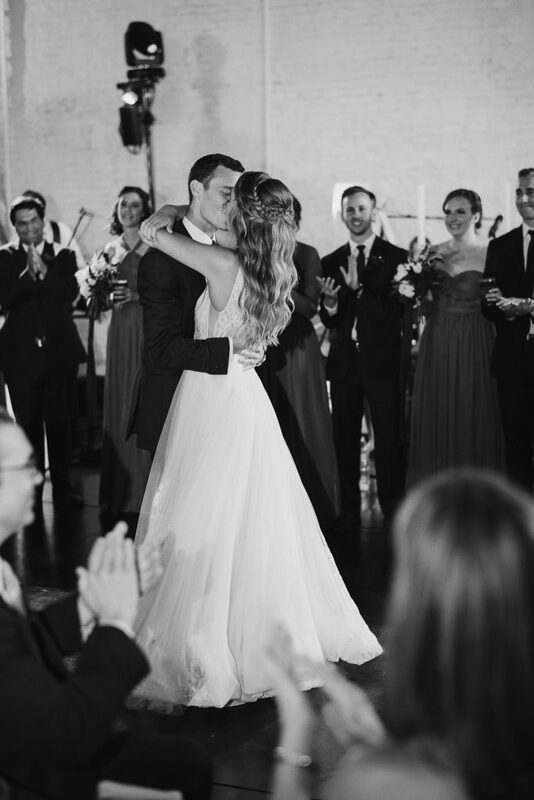 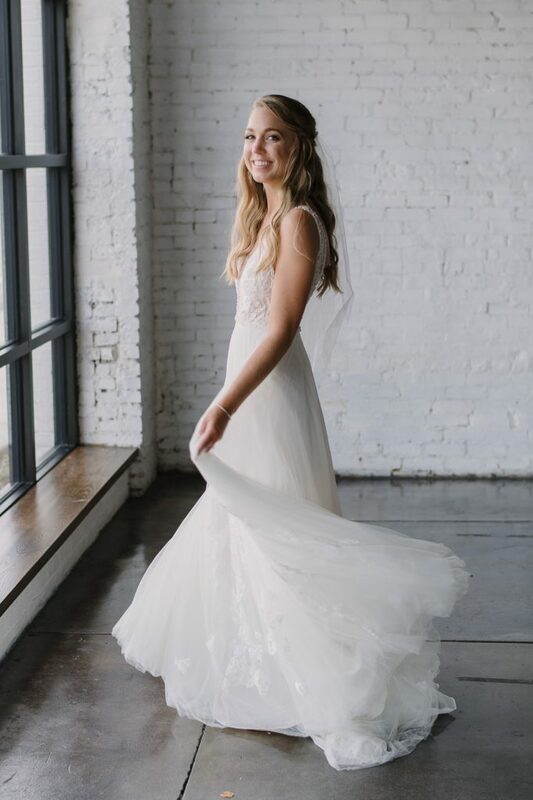 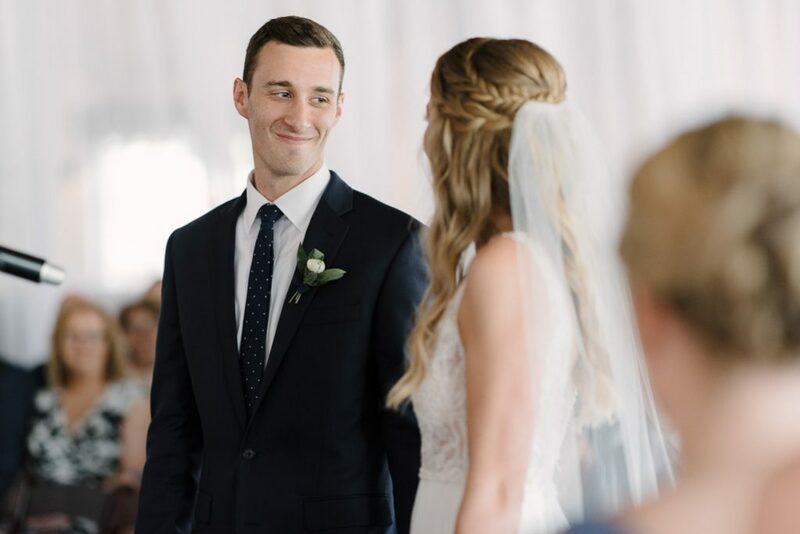 “Above all else, we just wanted the day to be so much fun for our guests, and it was important that the setting reflected that casual vibe we loved so much!” explained the bride. 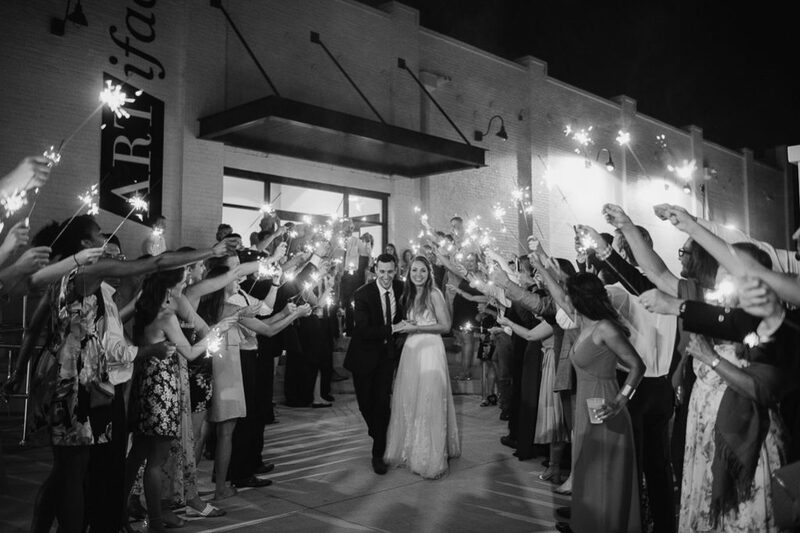 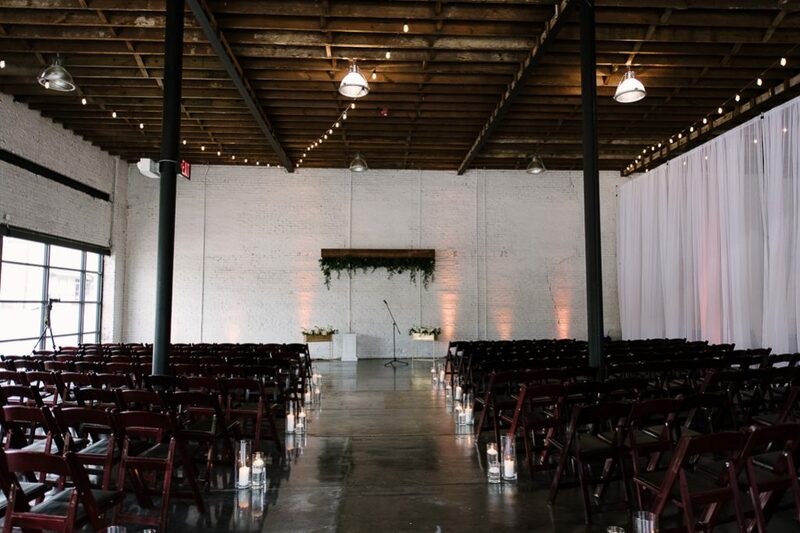 J + C wanted to find a venue that they could make their own, and when they decided on Haus they couldn’t have been happier with their choice! 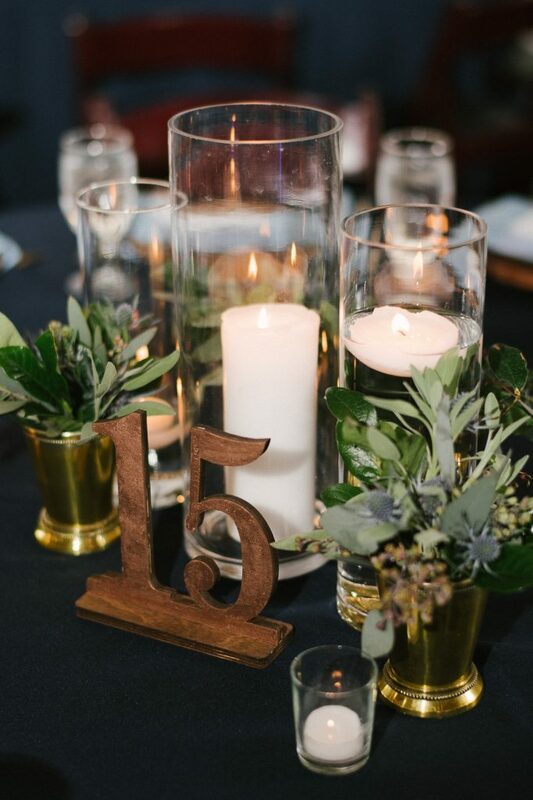 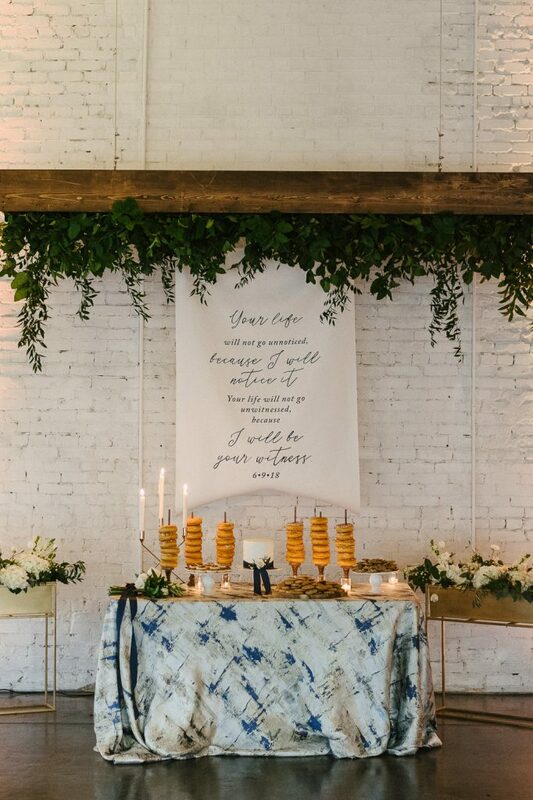 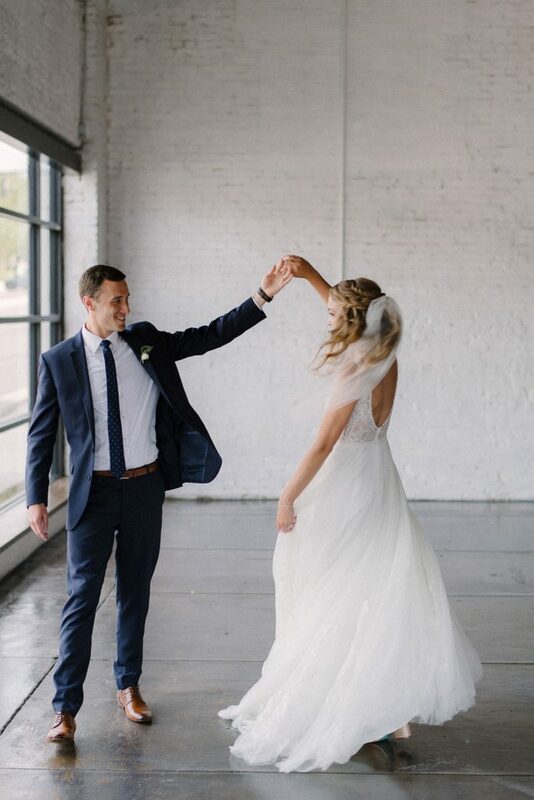 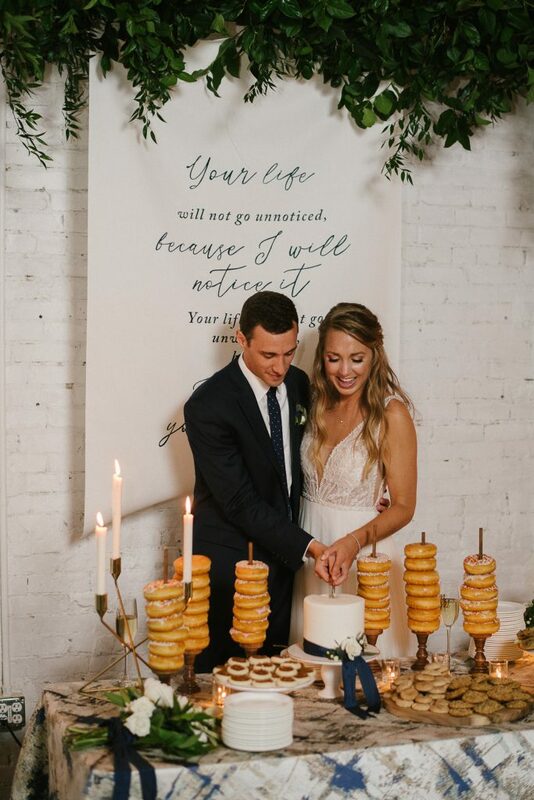 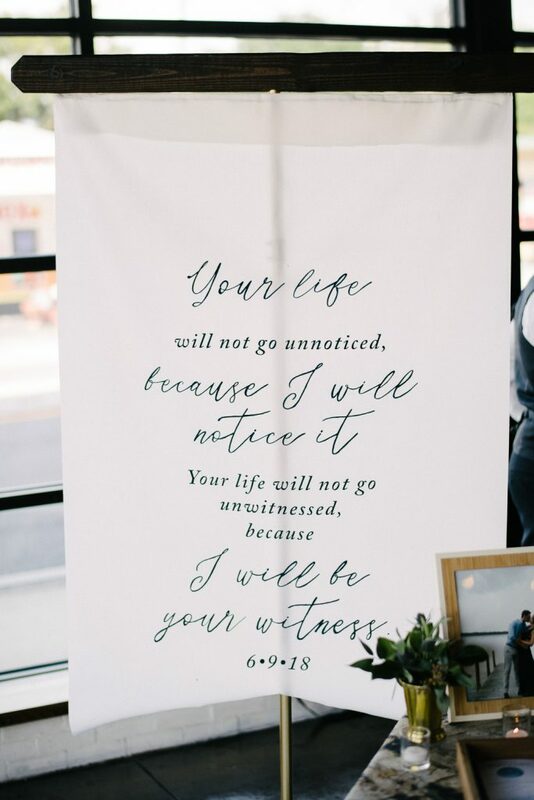 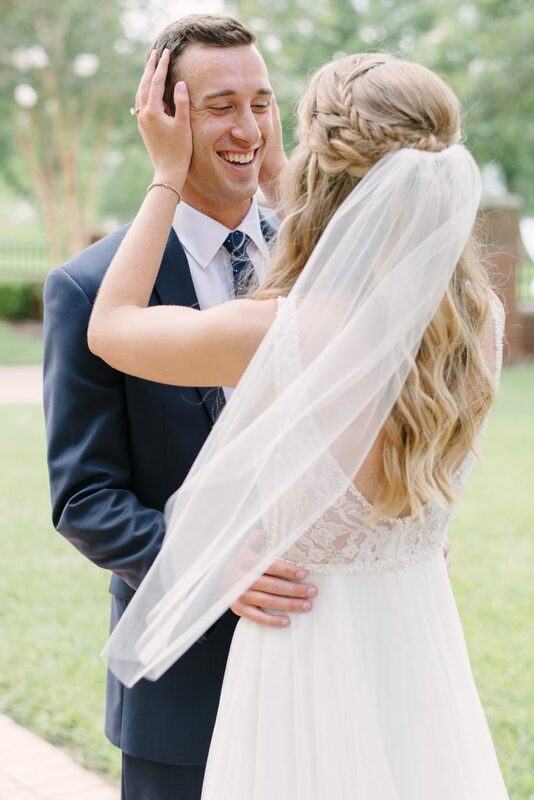 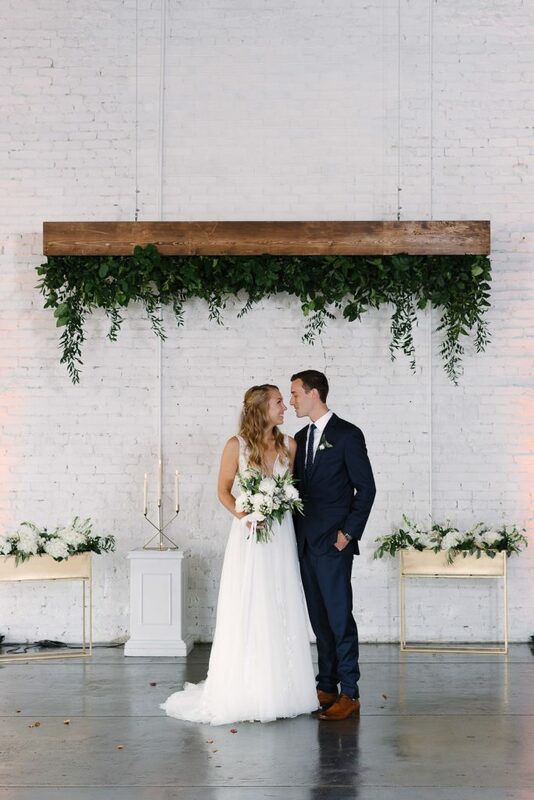 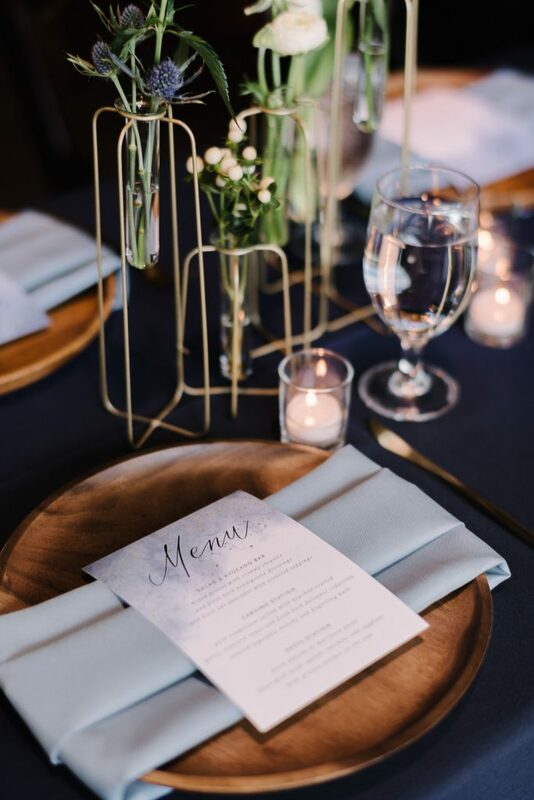 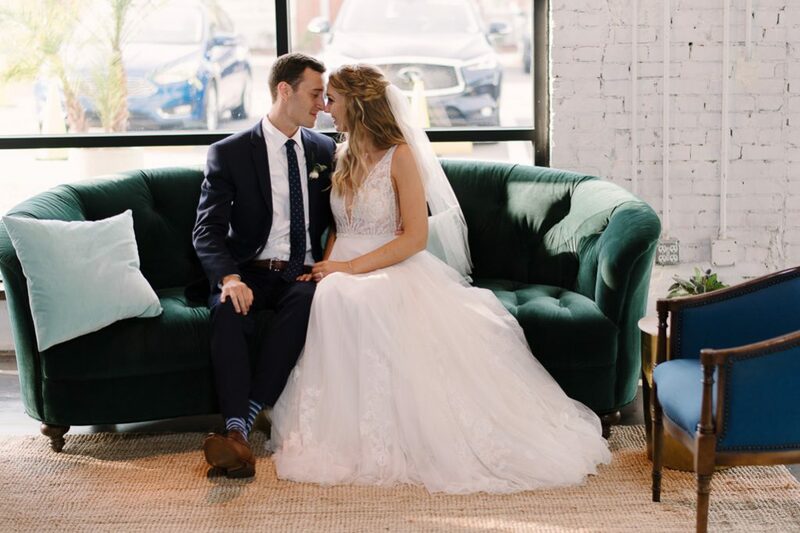 “The restored building was such a perfect blank canvas that allowed us to create our unique vision with a very cool, relaxed vibe.” We are thrilled that these two chose to celebrate their union at our Haus and really make it their home with the help of their planner, Ashton Events. 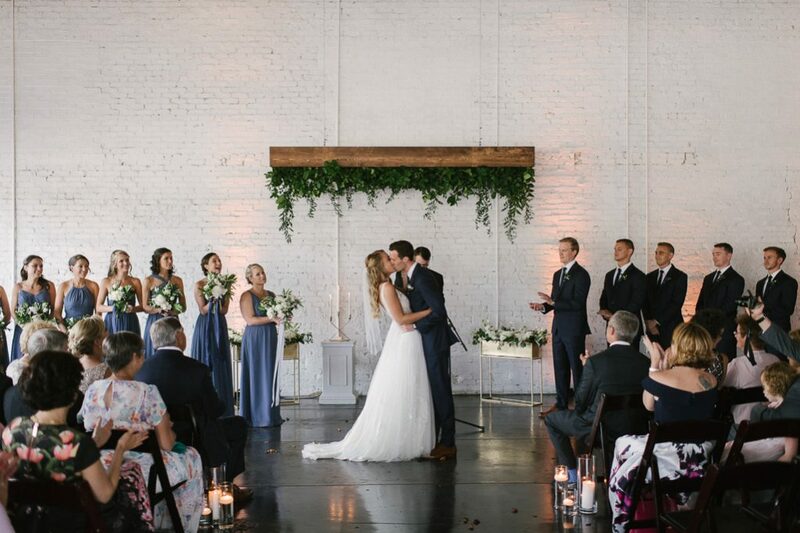 J +C chose to split our space for the ceremony and reception with gorgeous white draping from Premier Party Rentals.